Once again, this post is very late in coming. And as the fall semester is well underway, I foresee my future posts this year, if there are any, will be few and far between. But worst-case I’ll pick up writing again at the beginning of the New Year. Since there will likely be a gap between this post and the next, I’m going to focus on offering some hands-on, tangible things to try. Essentially, I’m assigning you homework. And I’m assigning me homework. If you’re a student, you’re probably already swimming in homework. 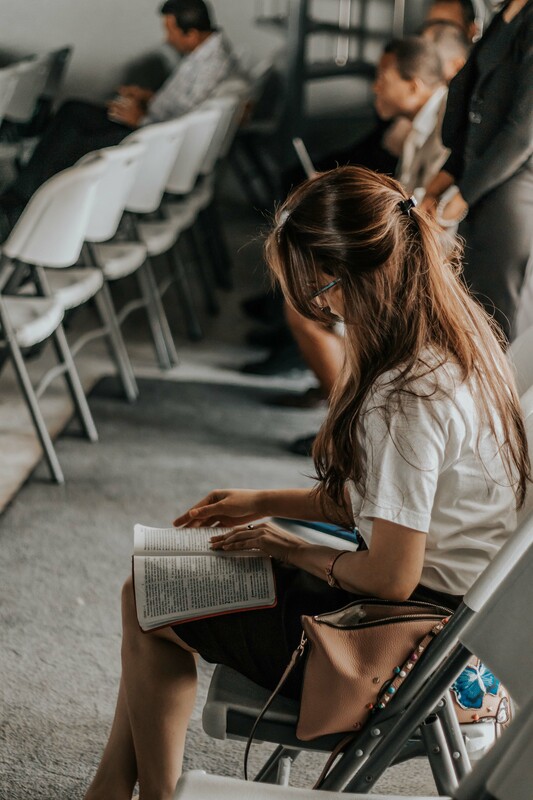 But what we’re discussing today is spiritual homework, and if you make the effort to include it in the rest of your busy schedule, you’ll suddenly find yourself far better equipped to deal with the challenges you’re currently facing in your life. If you’ve read the previous posts in this series (Part 1, Part 2, Part 3), it should be fairly clear to you why I believe that a personal relationship with God is critical to being able to suffer the ravages of mental illness (and any other form of suffering) with peace and joy. Embracing the cross means praying “thy will be done.” To pray that from the heart requires that you trust God, and in order to trust God, you need an intimate relationship with him. The good news is that God actively wants an intimate relationship with you, and if you take even a small step forward in opening your heart to him, he will come to your aid with a shower of graces and love to help you continue down this path. And the deeper you go in your relationship with God, the more peace and joy will abound in your life, even in the midst of suffering, because you’ll trust him and you’ll learn to rely entirely on his strength to get through every challenge you face. So how does one go about forming a deep, personal relationship with God? I have five suggestions I’m going to share with you that have made an overwhelming difference in my own spiritual life, my relationship with God, and my ability to cope with my mental illness. You may already be doing some, or all, of these things. If that’s the case, fantastic! Keep at it! And if you haven’t tried one or more of these suggestions, consider adding one into your routine. The only caveat I have before I launch into this is that if you haven’t been doing any (or most) of the following suggestions, I’m not suggesting that you promptly start trying to do all of them at once. That’s a surefire recipe for discouragement. Pick one or two, and start slowly trying to implement it in your life. The key is not amount, but consistency. Ideally you’ll get to the point where you’re including all of these things in your routine in some way, but it takes time to build up to that. Pray for grace and start with something you know you’ll be able to realistically stick to. If you put your mind to it, everything in your life can be offered to the Lord, can provide an opportunity to talk with your Father in Heaven, who is always keeping new illumination for you, and granting it to you. If you’re thinking that this sort of prayer would require more than a minute or two, you’d be right. 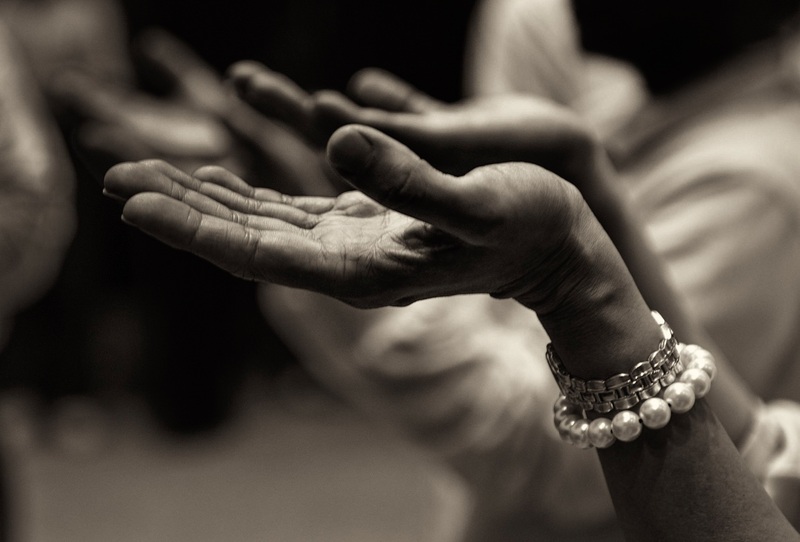 If you’ve never tried to do this before, 5 minutes is a good place to start for a period of mental prayer. Though, you should increase the time after a little while. Personally, I try to fit in a 15 minute block of mental prayer daily, not counting other other little moments of prayer throughout my day. But some people go for 30 minutes or more. 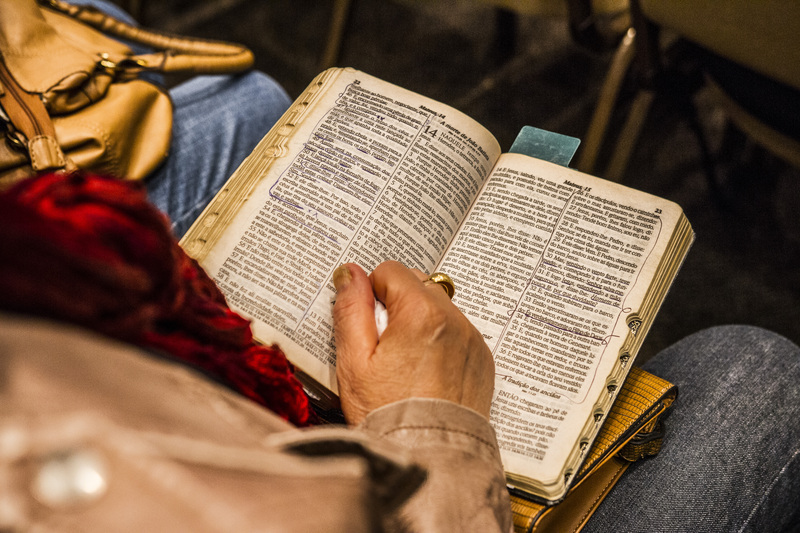 Protestants tend to be more reliable than Catholics about reading their bibles. Or at least, that’s the stereotype. I think it’s important to try to read at least a little piece of the Bible everyday. For Catholics, the daily Mass readings are a great resource. You get a reading from the Old Testament, a Psalm, and a Gospel reading. I highly recommend The Word Among Us as a source for these readings, since it also comes with a short little meditation about the readings of the day, not to mention a number of other interesting articles for each month. But there’s more to spiritual reading than just the Bible. It’s important to read from other sources too in order to expand your own ability to understand scripture and gain new insights about things. Writings by the saints are fantastic, but there are other good resources, such as excellent blogs, and many different books on various topics. I highly recommend Mark Mallet’s blog. His posts are incredible. Even 5-10 minutes of reading every day can go a long way, but if you can’t fit in both scripture and other readings into your day, pick one day a week (Sunday is my preference) to fit in some time for spiritual reading other than the Bible. 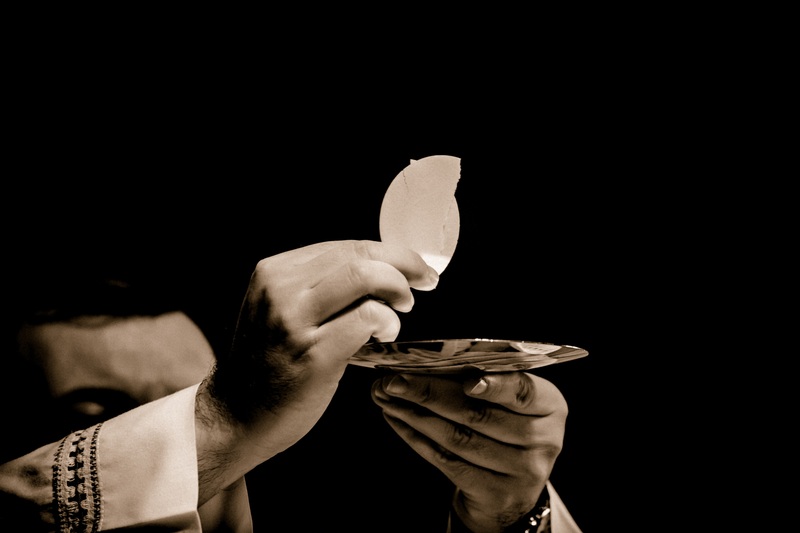 If you’re a Catholic, you believe that Jesus is physically present in the Eucharist. You believe that when you go to church and the light is on beside the tabernacle (as it always is, aside from on Good Friday), Jesus is physically present in the room. That’s why we genuflect before taking a seat in our pews. That’s why it’s considered a serious sin when we choose, without serious cause (such as illness, or some inability to travel to a church), to skip Sunday Mass — we’re in essence telling God “I have more important things to do with my time than to come and receive the mind-boggling gift you have offered to me by giving your divine Son to me to nourish my soul.” That’s also why we have adoration services, where we come before the exposed Blessed Sacrament to offer our prayers and worship. Some churches even offer 24-hour adoration, so people can come at any time to pray. But it isn’t necessary for the Blessed Sacrament to be exposed. Jesus is still there in the tabernacle whenever we arrive in the church. I believe very strongly that visiting Jesus in the Blessed Sacrament is an indispensable part of forming a relationship with him. Yes, we can pray anywhere, anytime — just like we can pick up the phone and call our friends at any time. But there’s a marked difference between calling someone on the phone, and going to visit them personally. There is a level of intimacy that comes when visiting in-person that can’t be achieved in any other way. There two aspects to this: one is the simple fact that you’re in the same place, seeing each other face-to-face. The other is the unarguable demonstration that you care about the other person enough to get in your car and drive to their house to spend time with them. That’s a sacrifice of both time and energy. Love is proved through sacrifice. And building a deep relationship with someone requires more than just spending the bare minimum of an hour with them once per week (a.k.a. Sunday Mass). I recommend this devotion so highly I don’t even know where to begin. The rosary imparts incredible graces. 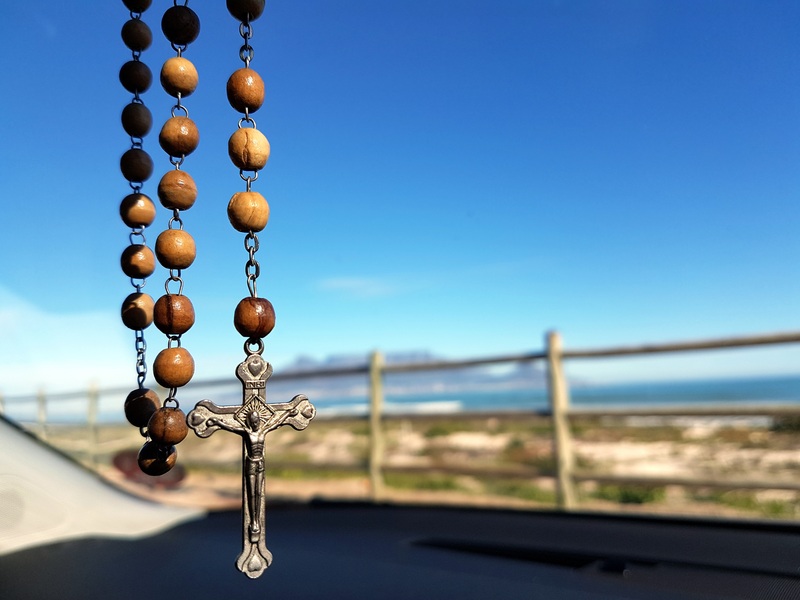 Since my family began the practice of saying the rosary together every evening, I cannot begin to list the miracles, both small and great, that have occurred. It’s transformed our spiritual lives and brought more peace to our home life than we’ve ever had. It’s mind-boggling to me how few Catholics actually make use of this invaluable tool. That said, you don’t have to say the entire rosary in one sitting. It can easily be broken up throughout the day. A lot of people (myself included) say their rosaries while driving, waiting in line, or performing mindless tasks like laundry. 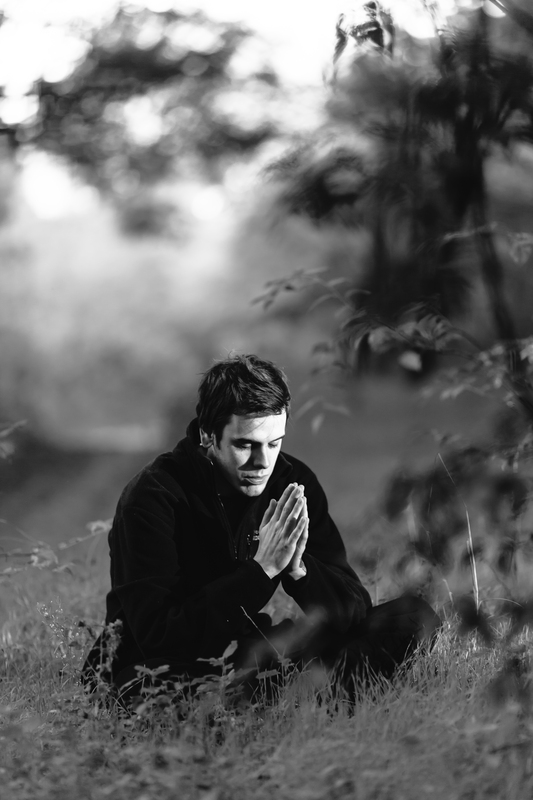 Admittedly, it’s better if you can just sit down and focus on praying it, but if your schedule doesn’t allow for it, then there are other ways to fit it in. Committing to say the rosary every day does take self-discipline. It’s not easy. One thing I strongly recommend is having a “rosary buddy.” Find a friend or family member who will be willing to say the rosary with you, and then commit to doing it together every day at the same time. You don’t even have to be in the same place to do it! Shoot each other a text and then both start saying it together. Having another person to keep you accountable makes a world of difference. My last two suggestions have been specifically Catholic devotions, but this one applies to everyone, regardless of your denomination. A weekly holy hour is exactly what it sounds like — a commitment to spend an entire hour, once per week (outside of the usual Sunday Mass or service), with God. This time should include prayer, but it can also include spiritual reading. It can be done at church before the Blessed Sacrament, or at home with your family, or on your own. Really, there’s no “set” way of doing a holy hour. My family does one on either Thursday or Friday as part of our devotion to the Flame of Love movement. We say the Flame of Love rosary (a bit longer than an ordinary rosary), a few extra prayers, and either watch a video from the Flame of Love website (they have tons of fantastic resources on there, so I strongly encourage you to check it out!) or one of us reads aloud from a spiritual book or blog post. By this point, if you haven’t been doing most of the things I’m suggesting, you probably feel like this is getting more than a little excessive. I don’t blame you. Don’t be discouraged! You aren’t somehow a failure for not already doing these things, or feeling like attempting them is impossible. A couple years back I never would have thought I’d be doing all these things — and believe me, I didn’t start doing all of them at once. It took years. But the difference it’s made in my spiritual life (and my life in general) is beyond words. I honestly can’t imagine living life without these now. They’re what keep me sane and happy, especially when my mental illness is acting up, or my other physical ailments are giving me grief. Another thing to keep in mind is that you can be a bit clever with all this. There’s nothing wrong with combining these things. For instance, I do my 15 minutes of mental prayer while I’m at adoration each day. And my family makes use of the weekly holy hour to say a rosary and do some spiritual reading. Experiment and see what works best for you! Maybe your weekly holy hour could simply be a weekly visit to the Blessed Sacrament, during which time you pray, get your spiritual reading done, and maybe say a rosary. Bam! Suddenly you’re doing all five of my suggestions, just like that! Of course, you shouldn’t limit your prayer time to once per week. That’s got to be an everyday commitment if you want to grow your relationship with the Lord. But try things out and see what works best for you. Come, Child, look up. Isn’t it mainly your vanity that is wounded? If you loved me you would grieve but you would trust. Do you think that there is a limit to God’s love? Do you think that for a moment I stopped loving you? But you still rely on yourself. You must rely on me. Ask my pardon and get up quickly. You see, it’s not falling that is worse, but staying on the ground. Pray for graces. And trust. Until next time, take care and God bless!